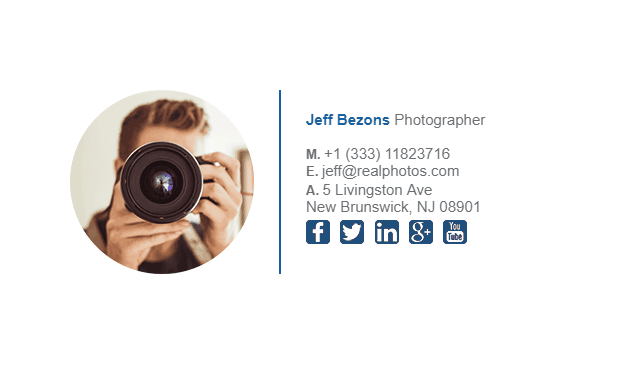 In order to be noticed in the ever competitive photography industry, you must stand out, and you must be memorable. 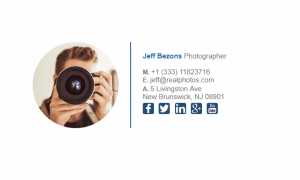 The email signature you use as a photographer must be something special. 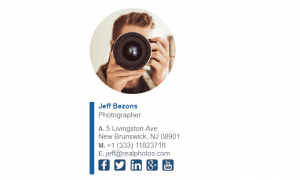 It cannot be a black and white corporate email signature, it really has to stand out with plenty of colors and class. 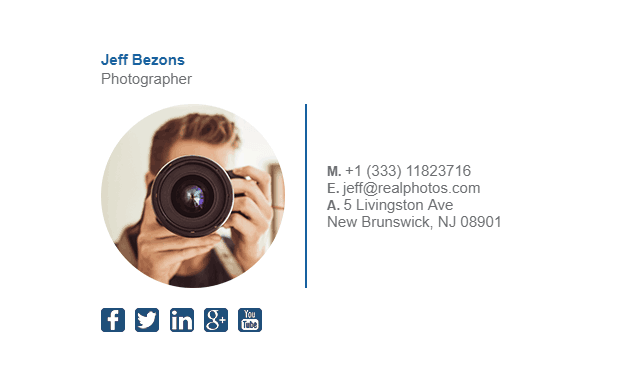 We have a lot of photographers email signature examples to choose from below. 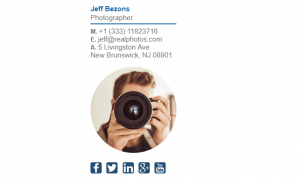 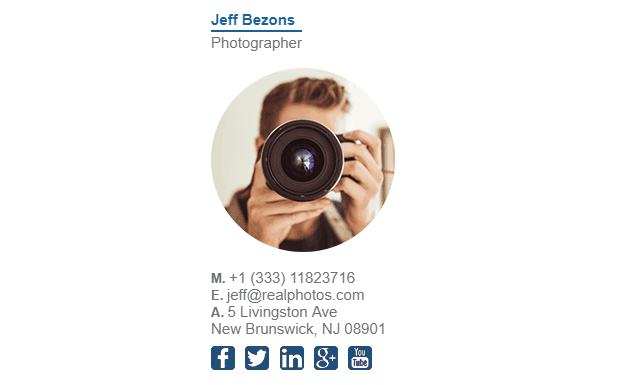 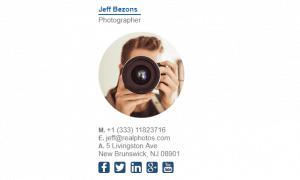 What Should Be Included in a Photographers Email Signature?